To be a woman, wife, a mother and a queen is a job hard to combine. And as you think longer and deeply, you will come to realize, it’s not easy for one woman to survive in the world ruled by a man even if that woman is Queen Elizabeth II. She was only 25 years-old when she had to take the throne after her father, the King George VI passed away. She had to stand for herself, her family, be responsible for a country at one of the most difficult times just to prove that nobody more than her deserved to wear the crown. 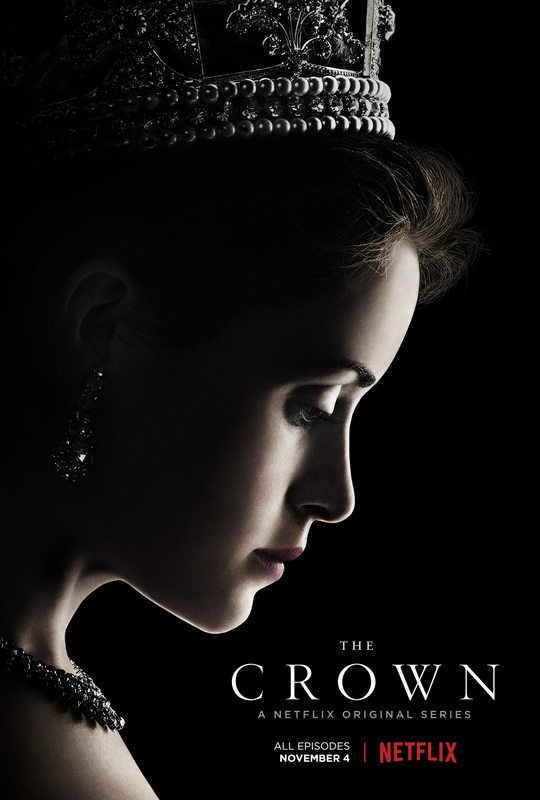 Netflix’s The Crown, created by Peter Morgan and directed by Stephen Daldry follows the life of Queen Elizabeth II, her relationship with her husband, The Duke of Edinburgh, Philip, her father, King George VI, her approach with William Churchill, to fight against men, who did not believe that she can do her job better than they could have expected, and how she manages the scandal from her youngest sister’s affair with their father’s equerry, Peter Townsend. In the meantime, The Queen Elizabeth II must find the right balance between ruling the country and compromises to be made to keep her marriage as steady as possible. The series begins with Buckingham Palace in 1947 when Philip renounces all his titles to be declared the Duke of Edinburgh and to marry, then-princess Elizabeth Alexandra Mary. But before it happens, we find King George VI coughing up blood, which later you will come to know that he has lung cancer and a tumor that must be removed as early as possible. As the story unfolds, it’s interesting to follow Princess Margaret’s affair that eventually will turn her into one of the most controversial royal figures. In the meantime, the happy marriage of Princess Elizabeth and Philip continues as they are sent to a business trip by King George VI to make Elizabeth ready for her future responsibilities as a Queen. By the time when we find Winston Churchill, he is no longer being taken seriously by the party that elected him. He is old, unable to lead the country, but still respected by the Palace, on rather a mutual favor. The Crown is by far Netflix’s most expensive production, spending over £100 million. After just seeing the first five minutes of the pilot episode, it’s clear that there is no way Netflix could have ended up spending less money. The heavy-weighted cast (Claire Foy as Queen Elizabeth II, Matt Smith as Philip Mountbatten/Duke of Edinburgh, John Lithgow asSir Winston Churchill, Victoria Hamilton as Queen Mother, Jared Harris as King George VI/Bertie, Vanessa Kirby as Princess Margaret, Dame Eileen Atkins as Queen Mary and etc. ), costumes, production design, decorations and much more is what will fascinate you. More importantly, the series has the best director it could have found, and that’s Stephen Daldry, who is well familiar with period drama. In conclusion, The Crown has everything to offer to its audience – it’s dynamic, informative, intelligent, superbly acted, and exquisitely directed. The soundtrack from Hans Zimmer and Rupert Gregson-Williams recreates the atmosphere thoroughly to ensure not only the eyes, but the ears of its viewers will be marveled as well. In conclusion, Netflix’s The Crown cannot be missed not just because of its close look at the Queen’s life, but from the historical point of view, where the series walks the fine line between reality and fiction, and the complete respect of its writer, who ensured that by watching it you won’t be only delighted by its quality, but as well as educated, which not many series offer that kind of knowledge nowadays.